Phumelela is to replace the problematic sand track at the Vaal with a turf surface in what is strategically the first step towards the installation of a synthetic racing surface in Johannesburg. Turf is the best racing surface in summer, but on the Highveld during winter grass tracks become hard and divot repairs cause inconsistencies. The need for an alternative racing surface to turf on the Highveld during winter was the reason for the introduction of the Vaal sand track in 2001. Unfortunately, the sand track has been dogged by a range of opinions and criticisms, and replacing the top layer of washed river sand with unwashed river sand a few years back at the request of horsemen has exacerbated, rather than resolved, the problems. It’s also dubious whether the Vaal sand track is environmentally or commercially sustainable into the future. The track requires copious volumes of water that are currently freely available from the Vaal River, but that may not be the case in years to come. Taking all factors into account, plus that replacing the entire top layer of sand on the track again would not necessarily solve the problems, Phumelela management first consulted with a cross section of trainers and then recommended to the Phumelela board that the sand be replaced with turf. The board ratified the recommendation last week and the sand track will be closed after the last of six meetings scheduled there in October. The sand will then be lifted and stockpiled for use elsewhere. Once the sand is lifted from the 60,000 square metre track, work will begin on creating a suitable medium for grass to grow in. The new grass has already been ordered and is scheduled to be laid in January. The configuration of the track will remain unchanged and all going well the first race meeting on the track will be held in May next year. It’s a similar timeframe to replacing the grass on the Turffontein standside track last year, a project that was successfully completed within three months. “An enormous amount of energy, money and time has gone into the Vaal sand track down the years, but the complaints are endless and it’s unlikely that all stakeholders will ever be satisfied. 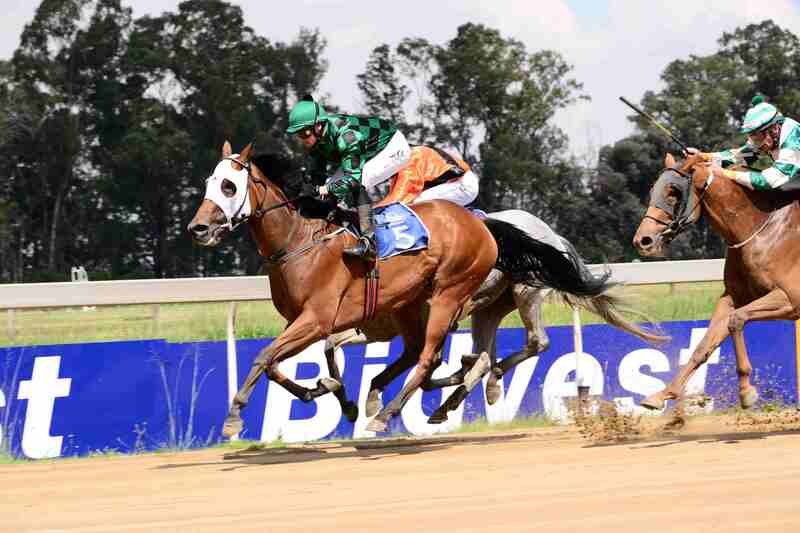 Plus the sustainability of the track is questionable,” said Phumelela Horseracing Executive Patrick Davis. “The best long-term solution is to replace the sand with turf and once the new turf track is proven as a racing surface, the way will then be open to replace the existing inside turf surface at Turffontein with a synthetic surface like Polytrack. Such a surface will solve winter going issues on the Highveld and lessen the pressure on the turf tracks and the number of race meetings lost to rain,” Davis added. Replacing the sand with turf will result in race meetings that would have been run on sand during the transition period having to be switched to the two existing Vaal turf tracks and the Turffontein standside and inside tracks. The bulk of these meetings will be held on the Turffontein inside track, which will consequently not be fully reconditioned during spring this year in order to be ready for racing earlier than normal. “It’s a real challenge but my team has spent days planning how best to deal with it and we are confident that the extra meetings can be accommodated on the turf tracks without compromising the going. And we have a bit of flexibility that the new Vaal turf track may be ready before next May if the weather is favourable,” Davis said.